"This is a winner every time I make it. The orange flavor in the dressing is so refreshing." 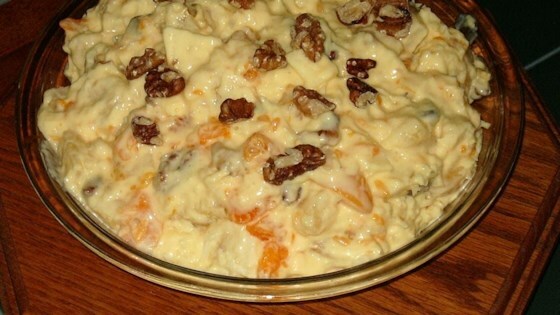 In a medium mixing bowl, combine pudding mix, milk, and orange juice concentrate. Beat with an electric mixer on medium speed for 2 minutes. Mix in sour cream. In a large salad bowl, combine fruits. Gently mix in orange dressing. Cover, and refrigerate for 2 hours. This was pretty good. I liked the concept, and liked the orange cream flavor, but thought the apples and banana were out of place. I'd make this again, but without them.